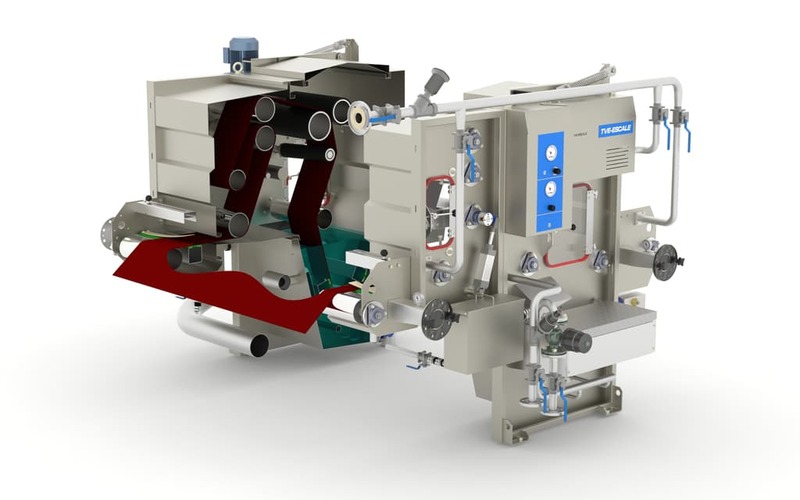 The high performance unit Shark has changed the current washing concept. Instead of letting the fabric pass through the wash liquid, the bath is pulled through the fabric. Not only is this method more efficient, but the supplementary mechanical effect obtains a radically improved final result. 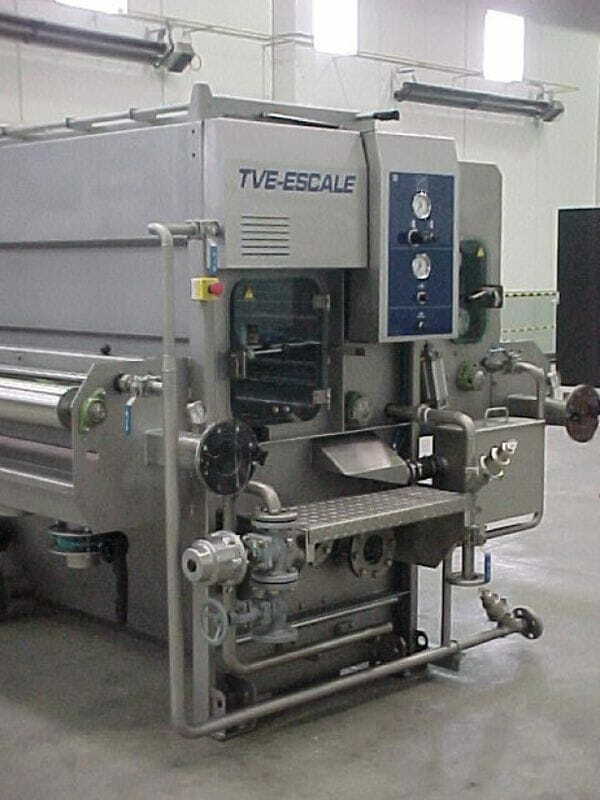 To achieve that, TVE-ESCALE combines vacuum and submerged suction technology. 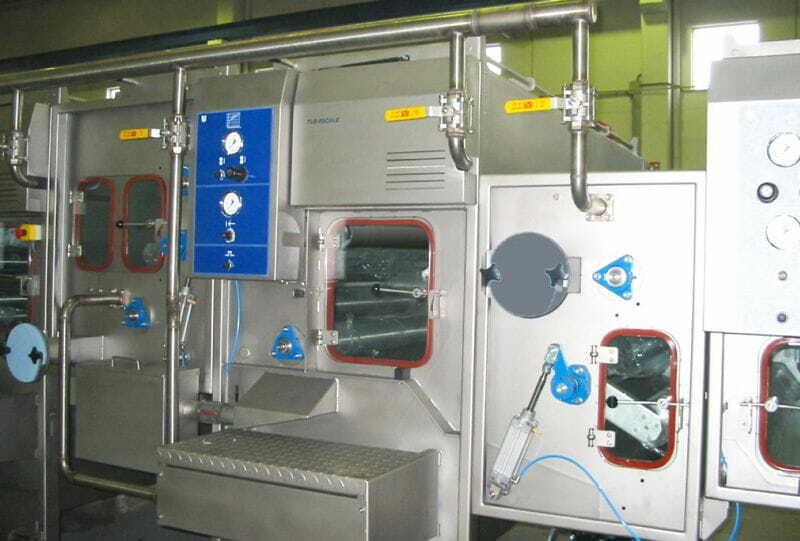 A Spray Vacuum Washer (SVW) at the entrance removes the majority of contaminants from the wash cycle. This reduces the fabric contamination level before it enters the SHARK washing compartment. Two submerged suction tubes have been installed inside the washing bath to force the water through the fabric. Suction flow can be regulated to between 5 and 100 liters per linear meter of fabric. 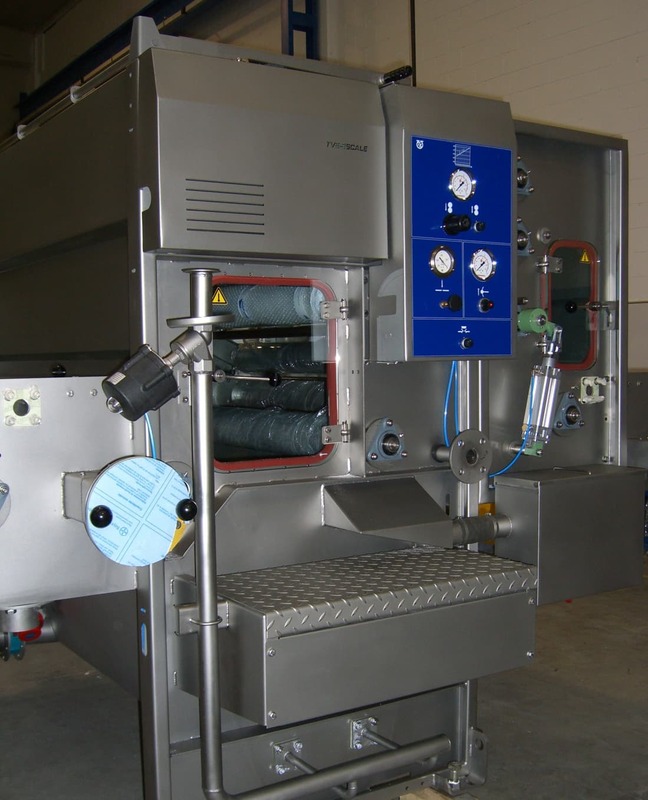 This high-powered flow ensures a much more efficient extraction of contaminants than any other existing wash system. When the material comes out of the bath, there are three final stages to ensuring the fabric is clean. There is an initial spray section after which there are rollers which squeeze the fabric control the tension and feed. A final spray vacuum washer using fresh clean water removes the last contaminants and reduces the moisture content before drying.